Sunday is Appliance Day at CookingManager.Com. This is the second part of a three-part series on food processors. Part I, Using Your Food Processor Efficiently. 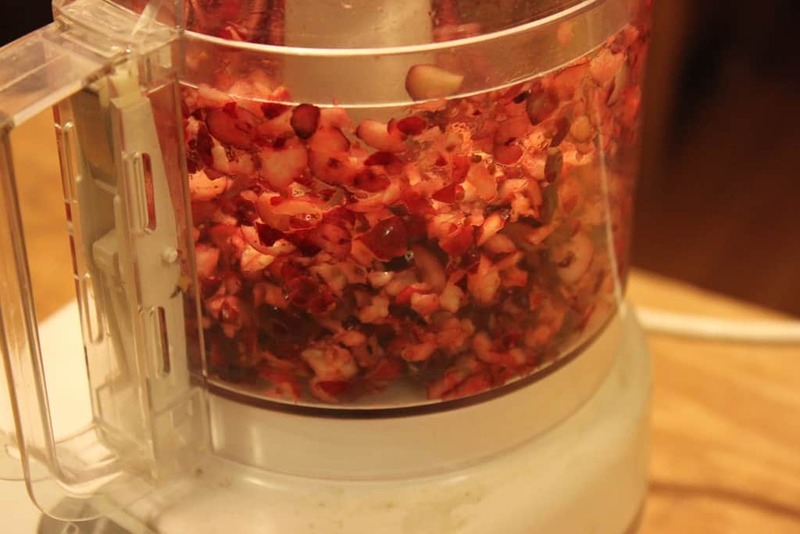 Part II, Five Basic Food Processor Recipes. A food processor saves time in the kitchen. The more you cook, the more time you save. It won’t peel or wash your vegetables, but it chops, slices and mixes. You can use it for salads, casseroles, cakes, breads and more. Mine even has an attachment for beating eggs, eliminating the need for a mixer. A mixer is the food processor’s only real competition and only useful if you separate eggs on a regular basis. Most food processors consist of a base with a motor, a bowl, a metal S-shaped blade, attachments for slicing and grating, and a cup for pushing fruits or vegetables through a tube. They only need two settings: On/Continuous and Pulse, that allows intermittent chopping. The pulse setting is used for chopping vegetables in the main bowl (not necessary if you want them very fine), and for adding flour to cakes to avoid overmixing. The first rule of the food processor is that you must keep it on the counter. It’s too heavy to lift on a regular basis, and even a small fall or bump can crack the base. If it’s on your counter you can use it for small tasks. Chopping an onion requires only a quick rinse for the food processor. After all, cutting boards and knives need to be washed too. When choosing a food processor, keep in mind whether you are going to be using it mainly for vegetables, or for cake batter and breads. For vegetables, you can get a smaller size since it’s easy to empty the vegetables into a larger bowl. The motor is the same for large and small bowls so be sure you need the larger version. Speed settings beyond Off, On and Pulse are useless. Higher-quality food processors place the motor underneath the bowl. Those with the motor on the side use a rubber belt that can wear out quickly. If your machine overheats, as happens often when mixing bread dough, a good machine will turn itself off until it cools down. A cheap one will just die. I’ve never had to replace a Magimix or Cuisinart machine because of the motor. My father-in-law said the instructions on his new food processor recommend the metal “S” blade for bread doughs, but I’ve read claims that the metal blade breaks the stretchy strands of dough and result in a poorer loaf. I broke the plastic blade, recommended for bread dough on my model, by using it incorrectly. So now I need dough by hand, as the quantities I bake with are usually too large. Next Sunday I’ll share more food-processor tips. I use the mixer with the dough hook for bread. My KitchenAid says to use a max of 9 cups of white flour; however, I’ve used more. I use the food processor mostly for vegetables. I almost always make cake batters by hand. I have a bread-maker (-pareve) which takes the pain out of kneading with my somewhat-arthritic hands. It works for an hour and 30 minutes while I do something else, and then I form it into strands for challah, or rolls, etc. and let it rise for another hour. My food processor I use mainly for vegetables (like tesyaa). If and when I bake (rarely; no kids at home), I use the electric mixer.